It's the beginning of a new year, a clean slate. 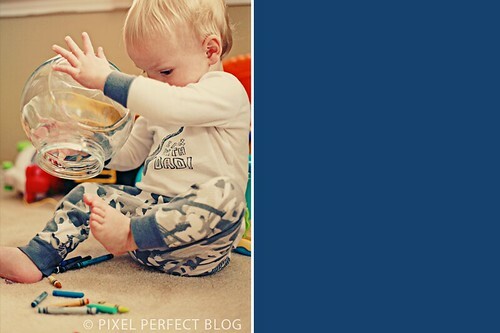 It's time to reflect on last year and make resolutions for the new year. 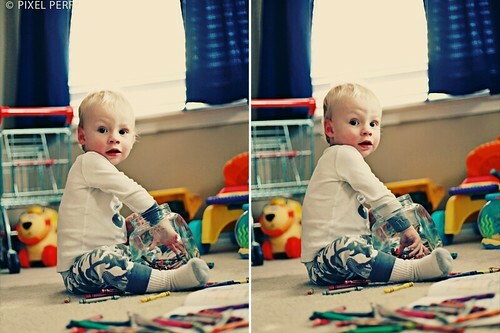 This year I will spend a little less time cleaning and a little more time playing with my boys. They are only young once. And I will freeze more moments in time. 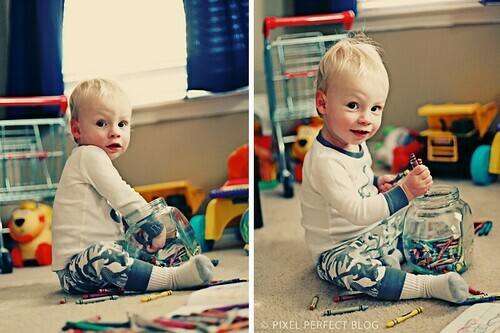 Such as his little fingers eager to touch every crayon in the jar. 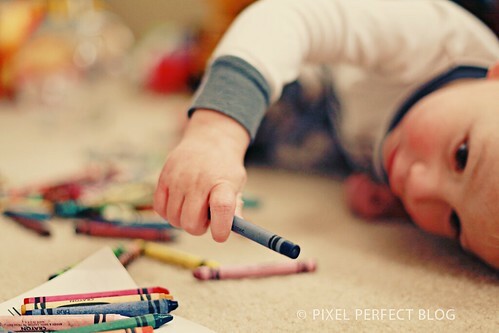 Before he can begin his masterpiece he insists that every single crayon be on the floor. 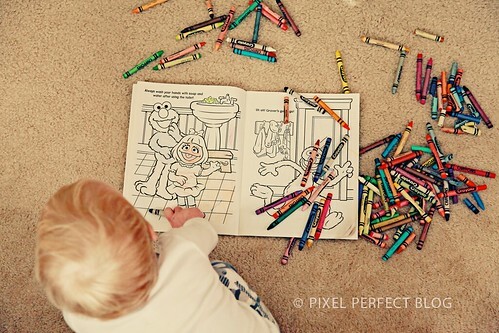 Then begins the difficult task of choosing the right color. His work of art, that he is proud of. 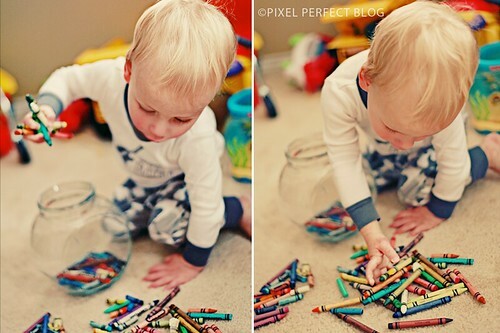 Brad loves to color and usually we keep the crayons in a baggy but I love the jar idea! And how do you keep his crayons in one piece? For some reason our Crayola crayons break easily. Some of it is obviously from Brad but usually they just break when we use them. We don't have any issues with them breaking but we do have issues keeping the wrapper on! 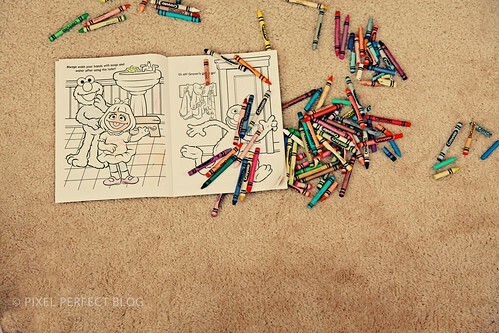 The crayons keep sliding out! I was wondering how you edited these photos. I love them! Was there an action I could download somewhere? Thank you! I'll go check it out. Sweet! Love the captures. So clear and crisp. So cute! Love these captures. Really sweet. Great shots! He is just too cute! Love this post too! So sweet! 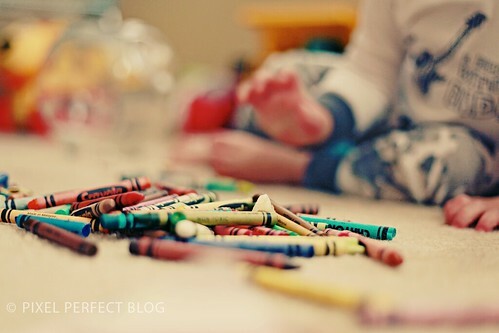 I love the shot of the crayons where everything else is out of focus :) And I'm going to buy a crayon jar, lol much more fun then a boring pencil case! Loved the picture as well as the story behind it. 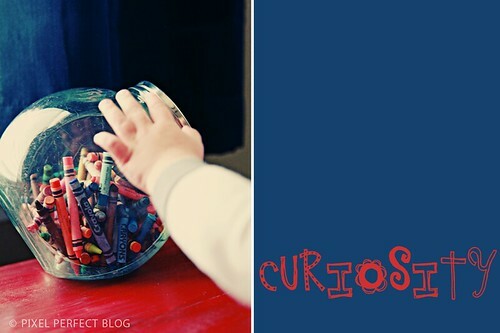 I have been very engrossed with my son and trying to find some solutions to help with his quirky autistic behaviors. 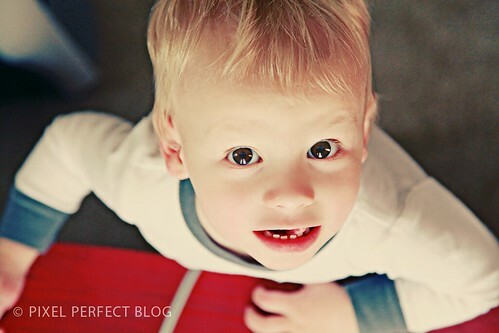 I also started a different blog to join my photo bloggers with. I hope you join me there and congrats on the new baby.